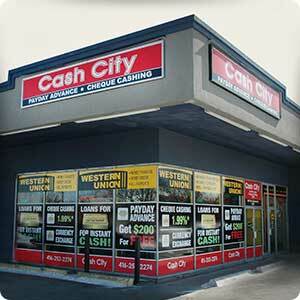 Take advantage of current specials and offers at Cash City. Receive a discount of 50% on your first cheque cashing fee. Maximum discount is $15. For first time Cash City customers only. Some restrictions apply Full details in store.